It was billed as a slump, but markets experienced losses well within their bullish boundaries. 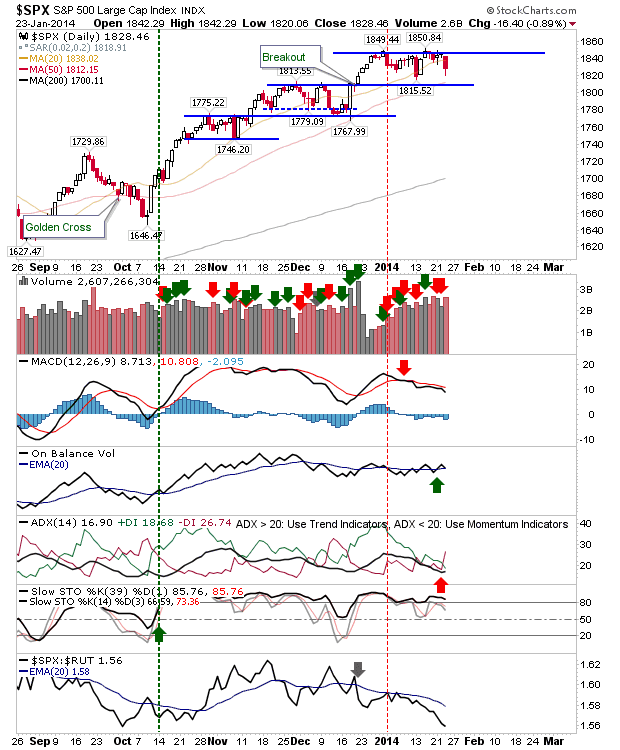 The Dow Jones Industrial Index experienced the largest loss, but it stopped at its 50-day MA, and above horizontal support. 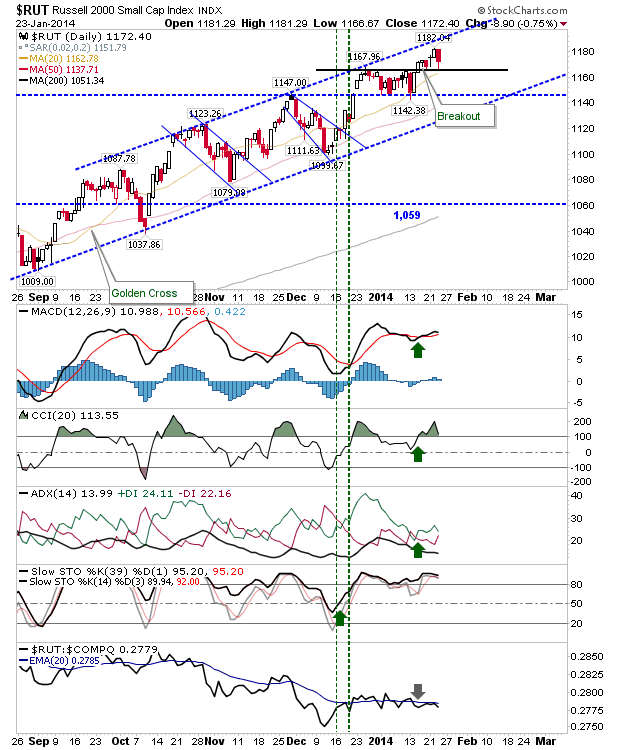 With the exception of stochastics, all technicals are bearish. However, bulls maintain their advantage unless support is lost. 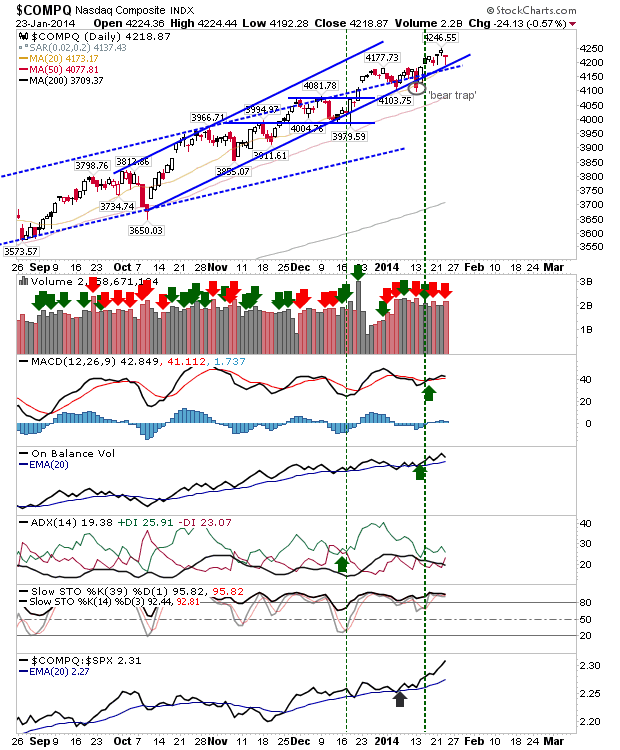 The S&P didn't suffer the damage of the Dow, and is trading inside the horizontal channel with additional support available at the 50-day MA. The big kicker is the large relative loss to the Russell 2000; it's effectively falling off the cliff. The Russell 2000 experienced losses which stopped right on horizontal support. Technicals are still bullish as the 20-day MA lends support. The Nasdaq had the strongest finish, closing near its open price (but still down on Wednesday's close). Today's low successfully held channel support. The indices are still best set up for bulls. 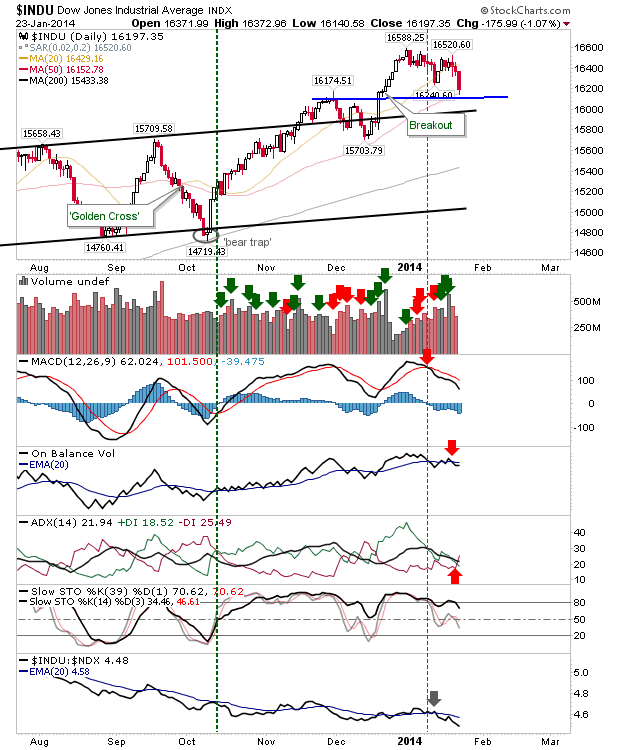 Despite today's selling, all indices successfully tested support. Tomorrow provides another opportunity for bulls to continue the afternoon recovery; Large Caps have the most ground to make up.